A friend posted a video clip from our old days as costumers at Marcon when we had two entries in the masquerade competition. The first was K’hoji, Secret Emperor of the Klingon Empire: a friends poodle with a warbled rubber forehead and pleather armor. The other was Zathras from Babylon 5. He had been my victim in a makeup demo earlier that day. The pretty woman he propositions is my wife in her Queen of Cups costume. 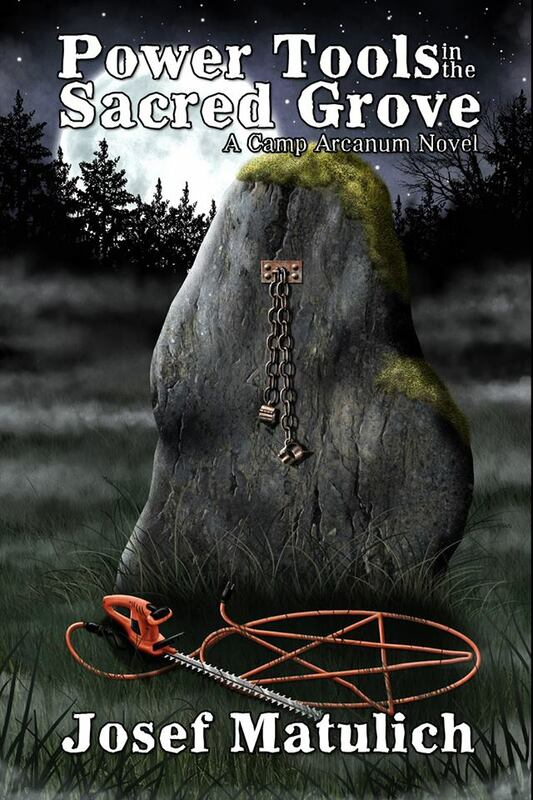 In honor of the May 19th release of “Power Tools in the Sacred Grove”, the sequel to “Camp Arcanum”, I have arranged to give away 3 copies through Goodreads. Follow the link below to join and Good Luck!